Get your Pinterest boards ready! 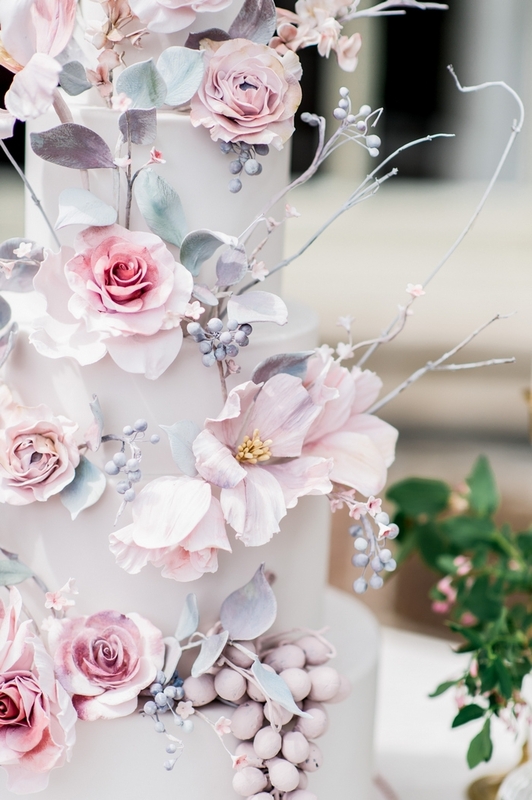 You’re about to see a few of the most gorgeous cakes ever featured on IW! These cakes, ranging from elegant minimalist layer cakes to over-the-top works of art, are sure to inspire. 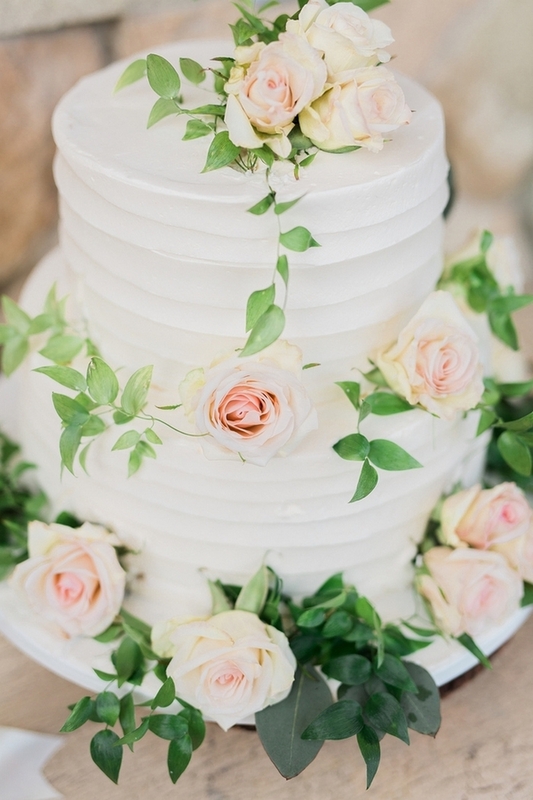 If you’re a bride who prefers a classic, timeless look, show this fresh floral-adorned cake to your cake designer. Isn’t it lovely? Have you ever seen such an intricately detailed cake? Nadia & Co.‘s cakes are works of art! 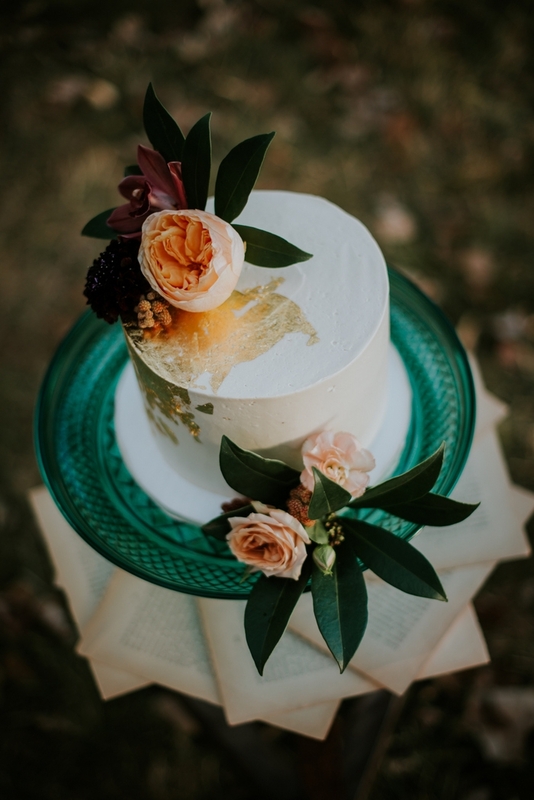 From the Elegant Graydon Hall Manor Styled Shoot //Photography: Whitney Heard Photography//Cake Design: Nadia & Co.
You don’t need 5lbs of frosting and fondant to make an impact. 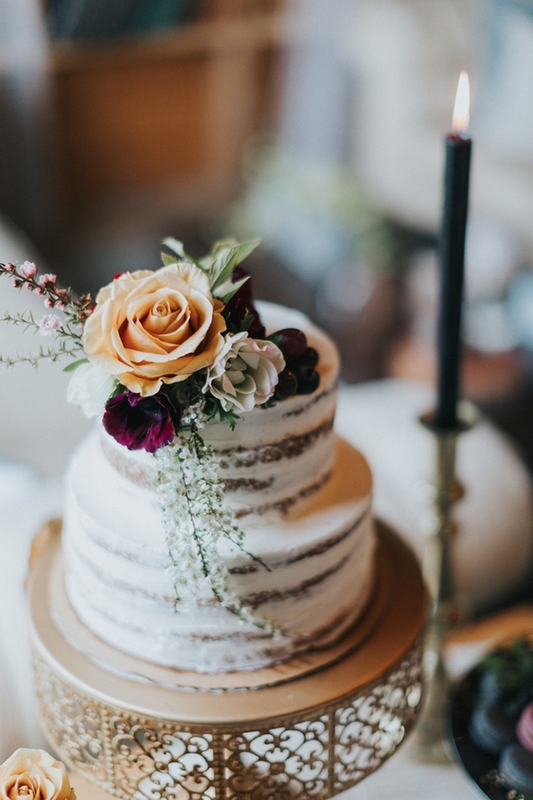 This flower-topped naked cake proves that less is often more. 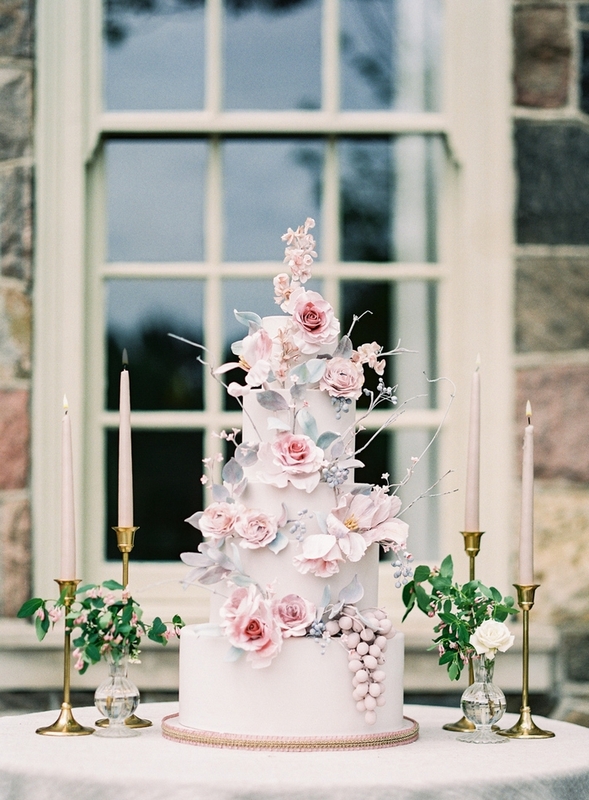 Looking for the perfect DIY wedding cake? You don’t need to be a master baker to recreate this berry beautiful cake! 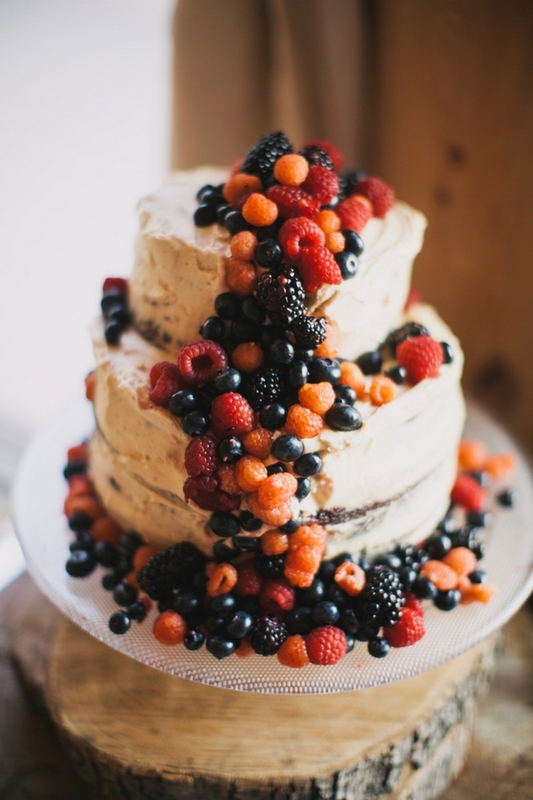 Just pile up the cakes, cover them in icing and then top your masterpiece with every type of berry imaginable! 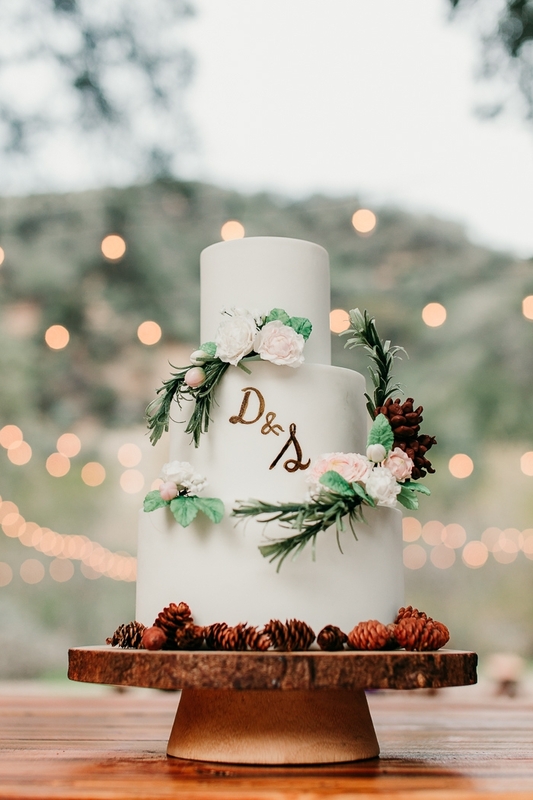 With the wooden serving platter and darling pine cones, this layer cake would be a beautiful addition to a woodland wedding. We’ve always had a soft spot for vintage cake stands. This teal glass cake stand provides the perfect contrast to the dark purple florals. 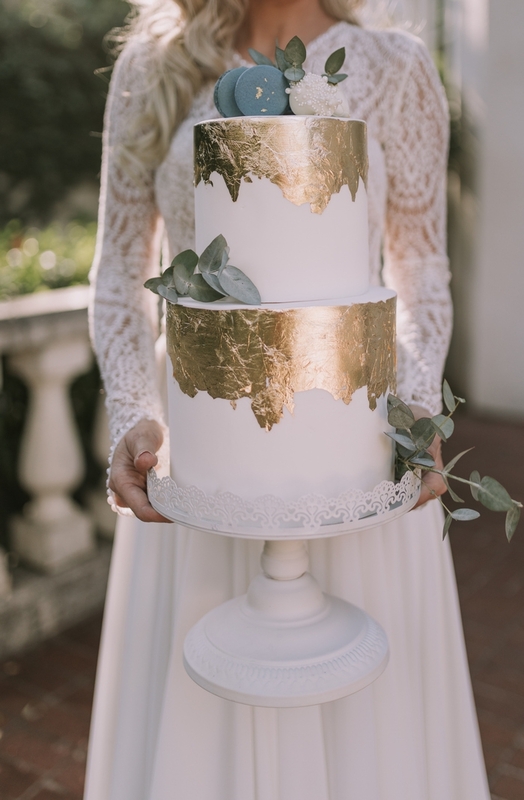 You deserve nothing but the best on your wedding day, so why not have your cake decorated with sheets of 24k gold? 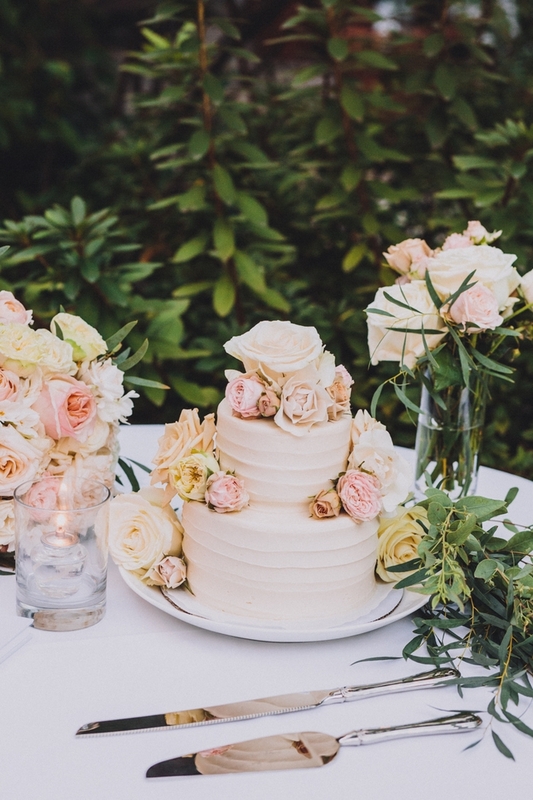 You can never go wrong with a white layer cake + fresh floral combo! 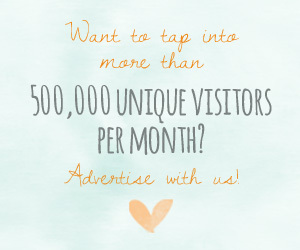 *This post contains Etsy affiliates.